Bournemouth skipper Simon Francis is expected to miss the remainder of the season after suffering a ruptured anterior cruciate ligament. Francis was forced off in Bournemouth's 5-0 loss to Tottenham on Boxing Day after attempting to dispossess Spurs forward Heung-Min Son towards the end of the first half. The 33-year-old has since undergone a scan, which revealed a rupture to his anterior cruciate ligament in his right knee. 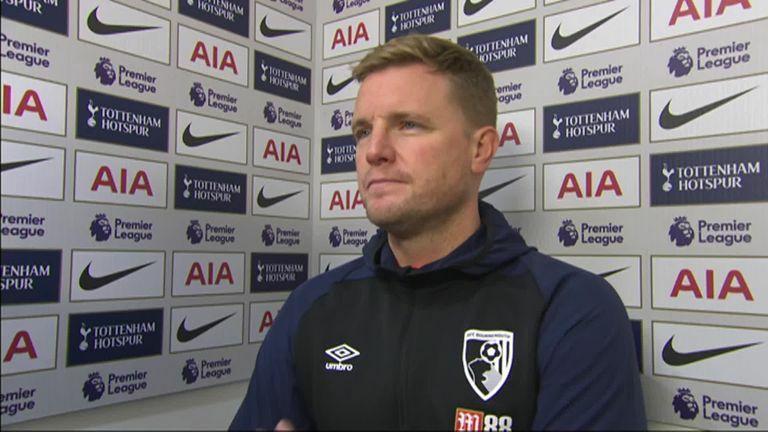 The injury is expected to sideline the Bournemouth skipper for between six and nine months. "We are devastated to have lost Simon to a serious knee injury," manager Eddie Howe told Bournemouth's official website. "It is a huge blow for us to lose our captain and someone who has performed so well and consistently for the team over a long period of time. "There is a long road ahead but Simon is a model professional who has a positive mindset and is surrounded by good people. I know he will leave no stone unturned in order to get back as soon as possible. "He will receive the best possible medical care as well as the love and support of everyone at the club." Francis has made 20 appearances in all competitions this season but is now the third Bournemouth player to have suffered a serious knee injury this term, joining Lewis Cook and Adam Smith on the sidelines.